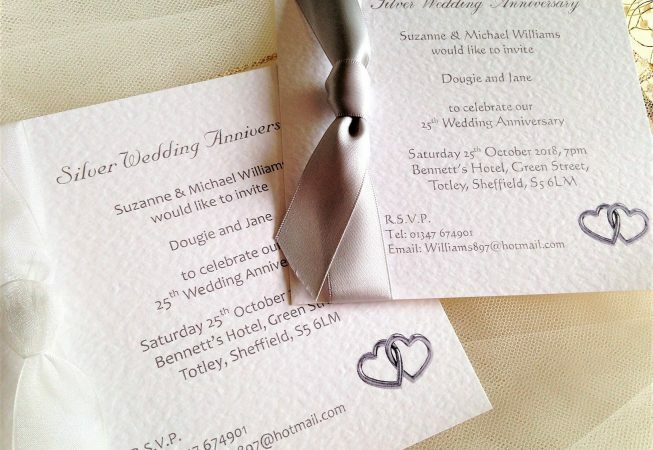 hammered card stock (15cm x 15cm) and are available in either white or ivory. 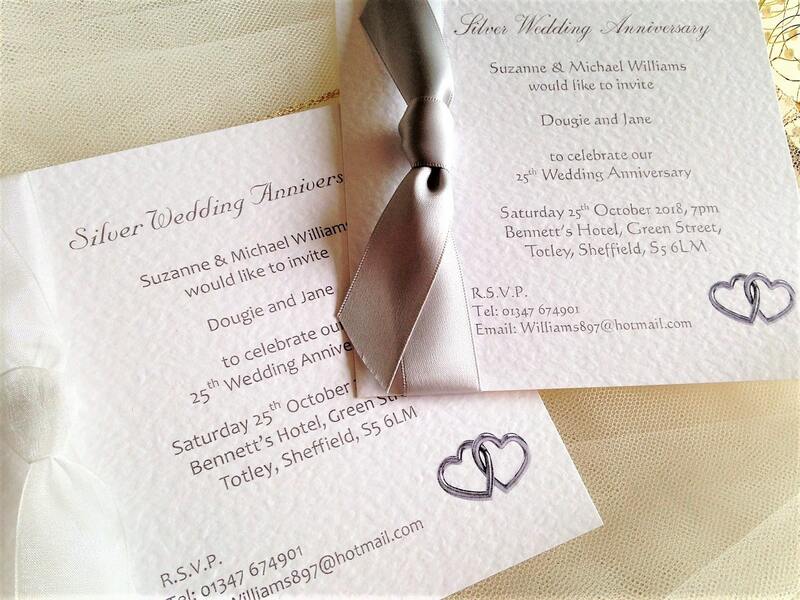 They feature a beautiful luxurious ribbon tied down the side of the wedding anniversary invitation and a design feature in the bottom corner. Entwined Silver Heart Rings, Entwined Gold Heart Rings, Ruby Gem or Diamond. 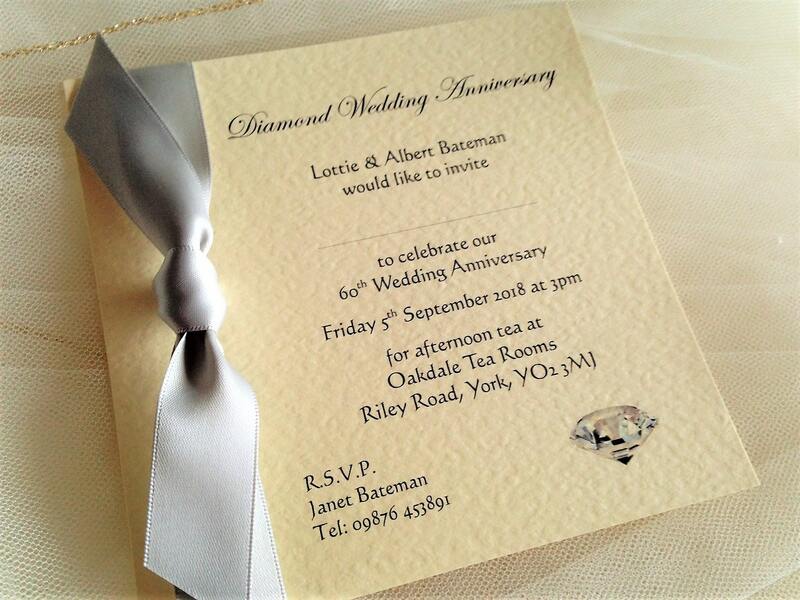 We stock a huge range of ribbon colours in both satin and organza including silver, gold and wine. We can print an a typeface(s) of your choice. 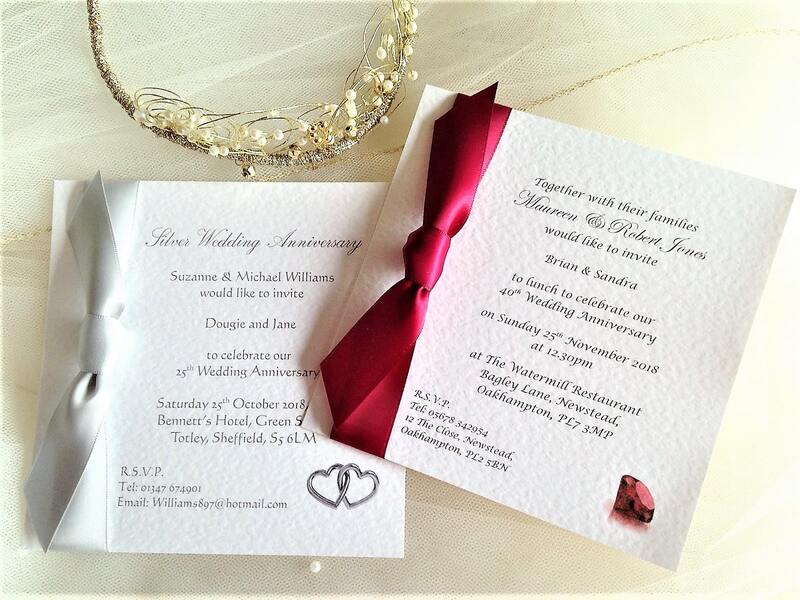 Classy wedding anniversary invitations, the ribbon adds a touch of luxury! Ordering is easy, just click here for information on how to place your order! We have short lead times, our printing is done in house. 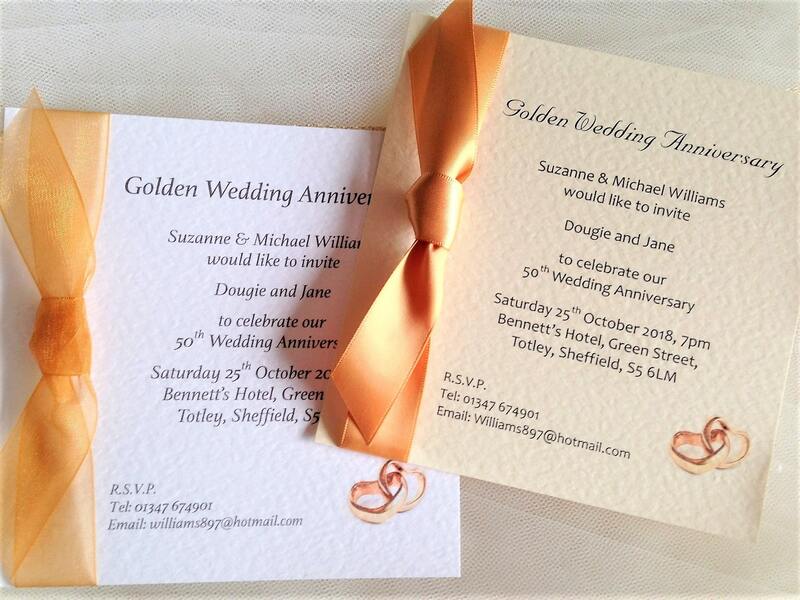 Wedding Anniversary Invitations can be ordered and supplied within a short timescale, usually 3-4 days for quick delivery in the UK.